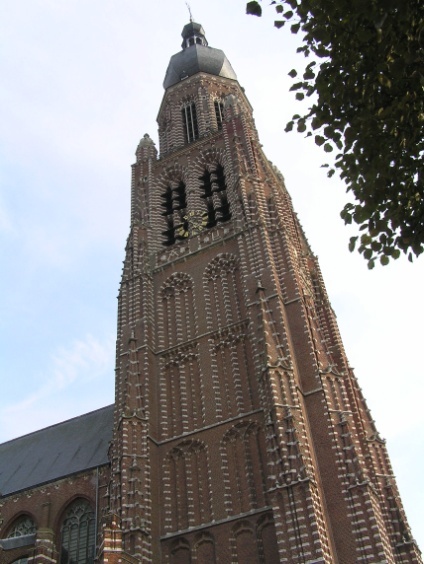 Late Gothic church built by R. Keldermans (1525-1550) in the typical Campine style in which layers of brick are alternated with a layer of white sandstone. After the second World War it was completely rebuilt after the original design. It is a monumental church with the highest spire but one in the diocese (105m, after Antwerp Cathedral 123m) and an undamaged 16th century interior. 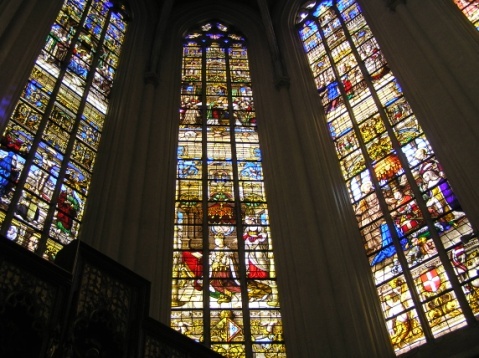 Among others there are the exceptional wooden Gothic choir stalls (15th century), numerous early 16th century stained glass windows, including some by P. Coecke and E. van Culemborg, but also neo Gothic windows by Capronnier. Paintings by J.E. Quellin, Van Dyck and followers of Rubens. Monumental tomb of the de Lalaing family (mid 16th century) by P. Scheemaeckers. Altar by Jan Gerrits (1890). Pulpit by T. Verhaegen.